Call Now! (805) 263-8899 Let Us Come To You! CR Mobile Repair and Towing is on the cutting edge of mobile repair, and always offers great service. Schedule a diagnostic appointment for your automobile today. Rv's are our home away from home. Reach out to CR Mobile Repair and Towing to get your generator serviced! I also offer tow truck services, roadside assistance, jumpstarts, and lockouts! Click "HERE" to leave a review! Generator repair 12 V and 120 V, we service & repair both portable as well as RV generators. They need proper maintenance just like our cars! Call for an appointment so we can keep it ready for your next trip. with over 10 years of repair experience. It does not happen too often, but our vehicles and machines do sometimes break down. If you do not know how to fix it yourself, you will probably need to get it towed to an automobile repairman, and as you might know, this is full of unnecessary costs and stresses. Luckily, you do not need to worry about this stress any longer, as CR Mobile Repair and Towing is here to help with all of your automobile and electric repair needs! 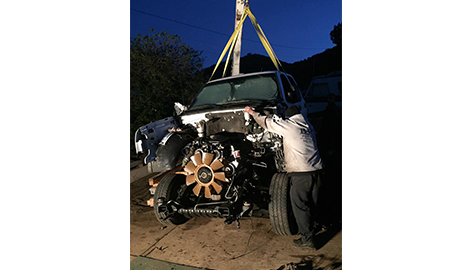 CR Mobile Repair and Towing is one of the leading mobile repair service in Ventura County, CA. I make sure that CR Mobile Repair and Towing provides convenient, quick, and hassle-free services to our clients. 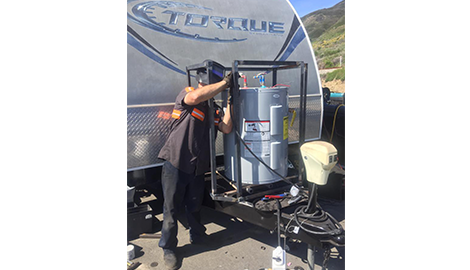 I am fully certified (license #8272) and insured for automobile repair, RV repair, and generator repair.. When your vehicle is having a little trouble, just give me a call and I will be there to help. I am willing to travel anywhere in Ventura County, CA. It can be for a minor problem such as a flat tire or a more urgent problem. I will do my best to make sure your automobile, RV, or generator is working to the best of its ability. I love serving my clients in the most friendly and personable manner. 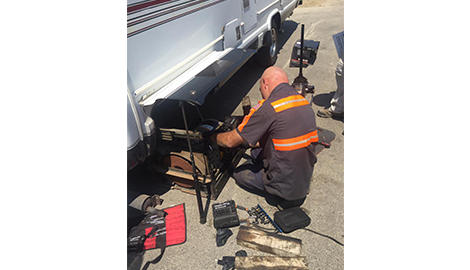 Many of my clients will call me again because of my honest and personable approach to automobile, RV and generator repair. CR Mobile Repair and Towing will not burden you with any unnecessary, inconvenient costs. Reach out to CR Mobile Repair and Towing today to learn more about our services and prices. I now offer towing, tow truck services, roadside assistance, jump starts, and lockout services! CR Mobile Repair and Towing has many services to offer and Towing is one of them. With many years in the towing industry you will get your vehicle towed to its desired location by prompt experienced professionals. Stranded and need help, call on us to tow or Repair on the spot. We also offer lock outs, jump starts, winch outs & can tow local or long distance. Please call CR Mobile Repair and Towing for our newest TOWING SERVICES!! !